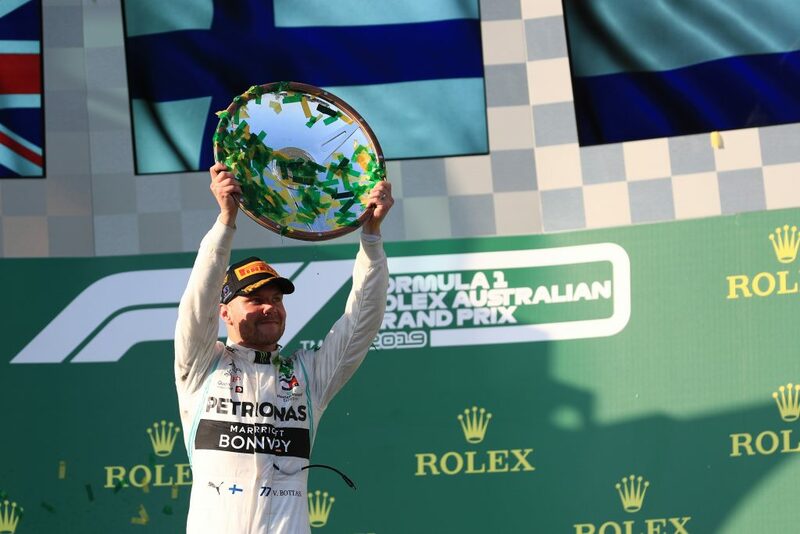 Australian Grand Prix – Mercedes AMG’s Valtteri Bottas has led from start to finish at the first race in 2019, taking an emphatic victory over teammate Lewis Hamilton. Valtteri Bottas has taken a commanding victory in Australia, dominating from start to finish after getting the jump on pole-sitter Lewis Hamilton off the line. His race was peerless, with Bottas running a long first stint on the Soft tyres and consistently setting fastest lap as he approached his mid-race pitstop. His peerless form continued through the second half of the race and he came home more than twenty seconds clear of Hamilton. This included him ensuring he finished with the fastest lap of the race, and the extra point that is now awarded for achieving that. Hamilton thus had to settle for P2. The pole-sitter made a considerably earlier pitstop than Bottas, with Mercedes deeming Vettel’s early stop sufficient threat to need to respond to the attempted undercut. 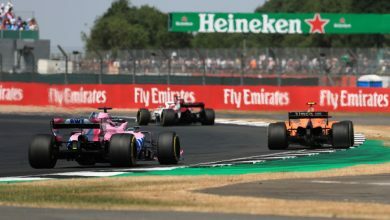 This, coupled with a comparative lack of pace in the second half of the race, meant Hamilton was under pressure from Max Verstappen at the chequered flag. Verstappen ran P4 in the early stages but a long first stint saw him pit ten laps later than Hamilton & Vettel. Verstappen then was able to hunt down Vettel and pass the Ferrari around the outside of Turn 3. 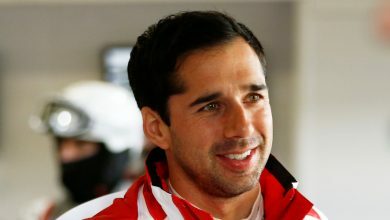 While he was able to catch up to the back of Hamilton’s Mercedes, he was never able to launch a serious attack for P2. Ferrari ended up having a largely anonymous race. While Vettel ran P3 in the first half of the race until Verstappen overtook him, he was quickly caught by Charles Leclerc over the last fifteen laps. Leclerc was another to run a long first stint and then took on the Hard tyre for the second stint, and this resulted in him being able to get within DRS range of Vettel’s Ferrari on the closing stages. However, in a clear indication of the team dynamic, he backed off, knowing that there was no threat from behind. Kevin Magnussen was P6 for Haas, leading home a midfield train of Renault’s Nico Hulkenberg, Kimi Raikkonen’s Alfa Romeo, Racing Point’s Lance Stroll and Daniil Kvyat’s Toro Rosso taking the final points position. Pierre Gasly finished outside the points on his debut for Red Bull Racing. He ran until Lap 37 on the Medium tyre before stopping for Soft tyres with twenty laps to go. He came out right behind Kvyat’s Toro Rosso but, with no apparent team hierarchy instructions forthcoming, he wasn’t able to get past the B-team’s car and had to settle for P11. 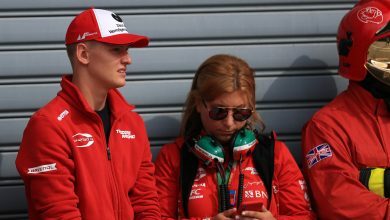 Lando Norris was P12, unable to convert his top ten start into a points position. This was after an extended feisty battle with Antonio Giovinazzi on old tyres, which resulted in Norris losing quite a bit of time after his pitstop and allowing the drivers ahead to scarper. 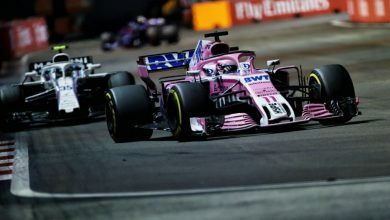 Sergio Perez was P13 for Racing Point, Alex Albon P14 for Toro Rosso, and Giovinazzi consigned to P15 after struggling with his tyres in the first stint. The two Williams finished at the very back, with George Russell in P16 and two laps down. Robert Kubica finished a further lap down. 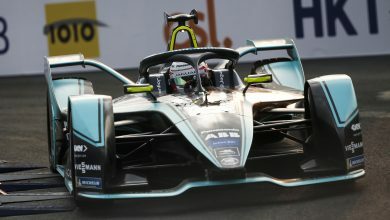 He lost his front wing on the opening lap after making contact with Pierre Gasly at Turn 1, and was forced to pit at the end of the first lap. There were three retirements. Carlos Sainz was first out of the race when his McLaren suffered an apparent Renault power unit failure, forcing him to pull over at the entrance to the pitlane. Daniel Ricciardo’s home race proved disastrous when he lost his front wing on the run to Turn 1. He didn’t make contact with anyone, but a small move onto the grass resulted in his front wing snagging the ground and tearing itself apart. He pitted immediately but Renault withdrew him as a precaution at the halfway stage. Romain Grosjean also retired when his Haas suffered a loose front wheel, 14 laps after his pitstop. Click here for the complete results from the Australian Grand Prix 2019. Click here for the Driver’s & Constructor’s Championship standings after Round 1.